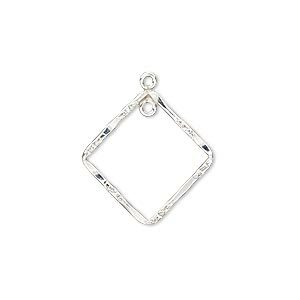 Drop, sterling silver-filled, 19x19mm open diamond with loop. Sold per pkg of 2. Item Number: H20-A2215FN Have a question about this item? 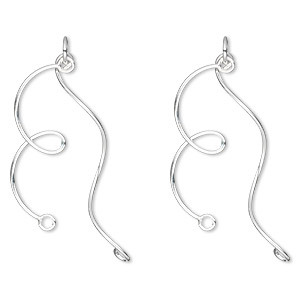 Sterling silver-filled drops have a high-perceived value at a fraction of the cost of sterling silver. 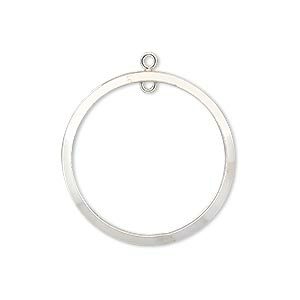 Sterling silver-filled drops are made of a durable outer layer of sterling silver surrounding a copper-alloy core and finished for uniformity. These drops are a versatile component for creating chic jewelry designs. Contains 5% silver, 1/20 silver filled. Drops have an anti-tarnish coating. 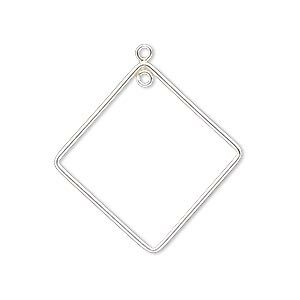 Drop, sterling silver-filled, 28x28mm open diamond with loop. Sold per pkg of 2. 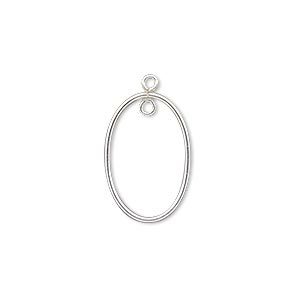 Drop, sterling silver-filled, 19x13mm open oval with loop. Sold per pkg of 2. 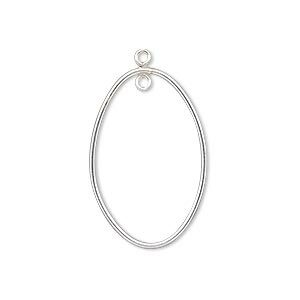 Drop, sterling silver-filled, 26x18mm open oval with loop. Sold per pkg of 2. 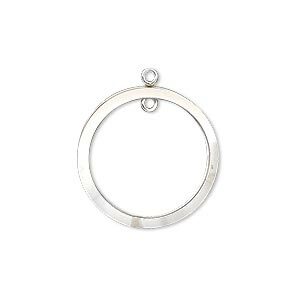 Drop, sterling silver-filled, 20mm open round with loop. Sold per pkg of 2. 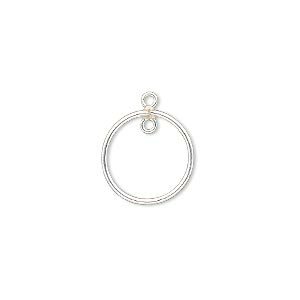 Drop, sterling silver-filled, 14mm open round with loop. Sold per pkg of 2. 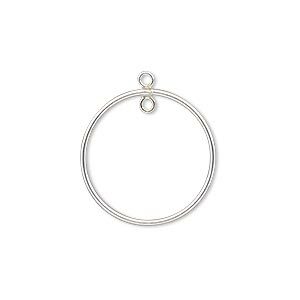 Drop, sterling silver-filled, 25mm double-sided puffed open round with loop. Sold individually. 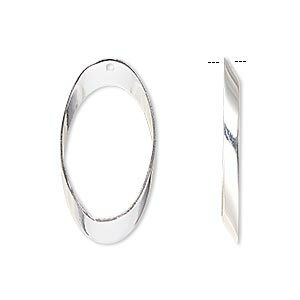 Drop, sterling silver-filled, 20mm double-sided flat open round with loop. Sold individually. 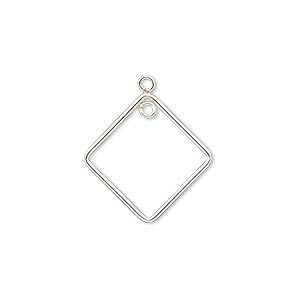 Drop, sterling silver-filled, 20x20mm double-sided hammered and textured open diamond with loop. Sold individually. Drop, sterling silver-filled, 27x14mm open oval. Sold per pkg of 2.